It’s Back! 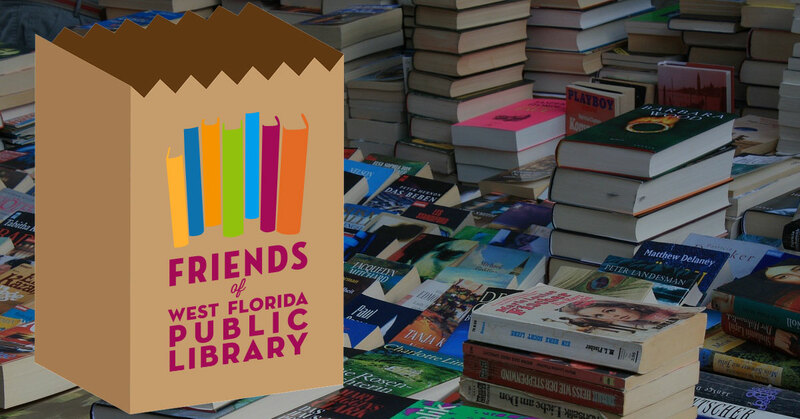 Don’t miss our famous $5 Bag Sale on Saturday, January 20, from 9 am – 5 pm at the Downtown Branch of West Florida Public Libraries, 239 N. Spring St., Pensacola. We give you the bag, you fill it, and then you pay only $5. There’s no limit on the number of bags you can fill.